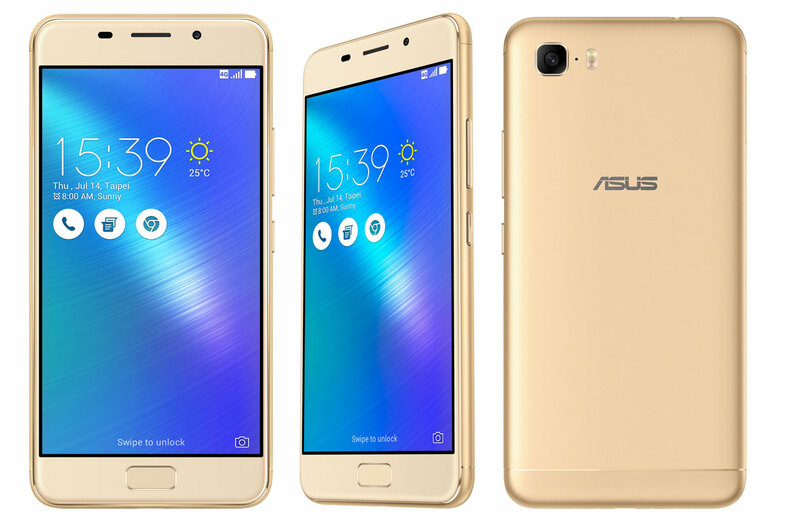 Asus has launched the new ZenFone 3S Max in India at the priced of Rs. 14,999. The phone is now available in Market in two colors: Black & Gold. Asus ZenFone 3S Mas features 5.2-inch HD display, aluminum-alloy body with sandblasted matte finish, 1.5GHz Octa-core 64-bit processor mated with 3GB of RAM and 32GB Internal Storage. The phone comes with 13MP PixelMaster 3.0 rear camera with Phase Detection Autofocus, f/2.0 aperture, and dual LED real-tone flash. On the front, it has an 8MP camera with 85 degrees wide field of view. The PixelMaster 3.0 camera app provides Super Resolution mode, Low-light mode, Backlight (Super HDR) mode and Beautification mode. The display is protected by 2.5D contoured glass and has 75% screen to body ratio which means on either side of display it has a very slim bezel. The phone weighs only 175g and 8.85mm thickness which makes it very light in weight for a 5000 mAh battery phone. The phone comes with fingerprint sensor and support VoLTE. Asus also added ICEpower enhanced mono 5 magnet loudspeaker which produces high-quality loud sound. The dual microphone ensures noise cancellation, while the in-built AudioWizard app allows customizations to create an audio experience specifically tailored to the user. Asus ZenFone 3S Max is powered by Android 7.0 Nougat with ZenUI 3.0 on top. ZenFone 3S Max is priced at Rs. 14,999 and available in two colors: Black and Gold.